I love donuts!! 🍩 I just love the cute ring shape, colors and fluffiness. 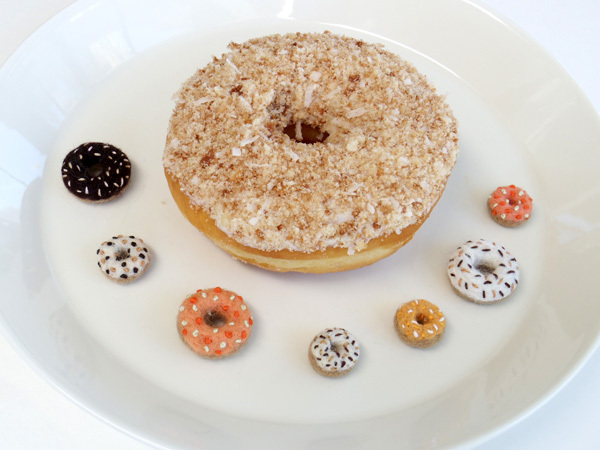 I wish I could eat donuts everyday! …..but the reality is, I barely actually buy or eat them. Especially when my dentist says my teeth are weaker than other people and most of all sugar is not good for any health conditions. That’s Sad. So, the solution for my donuts hunger is by making mini donuts with my fuzzy fluffy wool. 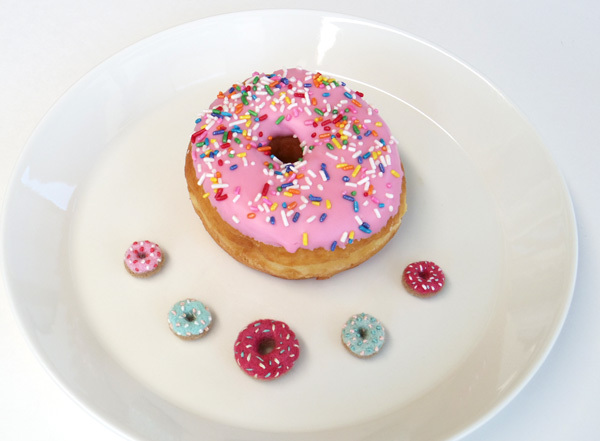 The doughnut shape looks simple…..but actually, it’s kind of hard when I try to make them with needle felting (especially making a doughnut hole). It takes a bit of effort and time, but it’s fun to make them. It doesn’t have the sweet aroma and I can’t eat them….but at least, they make me smile. 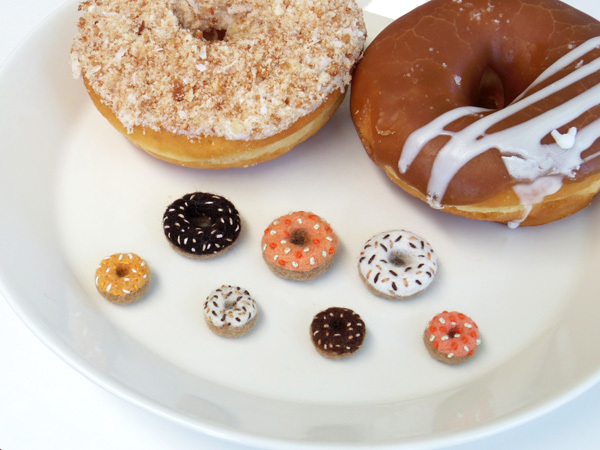 Amazingly, making and holding these mini felt donuts satisfy my donuts hunger. 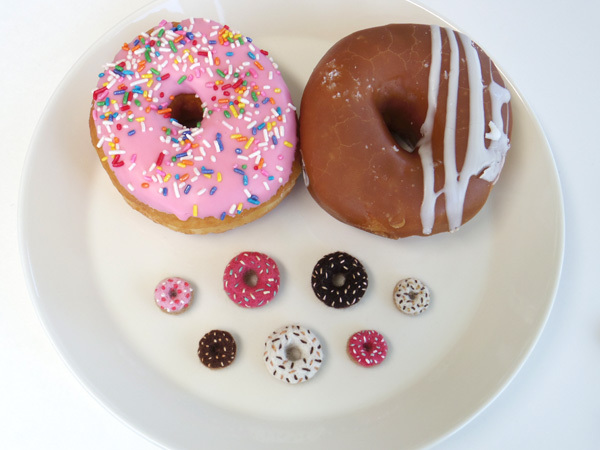 After all, I might like the shape and fun colors of donuts much more than actually eating them?! 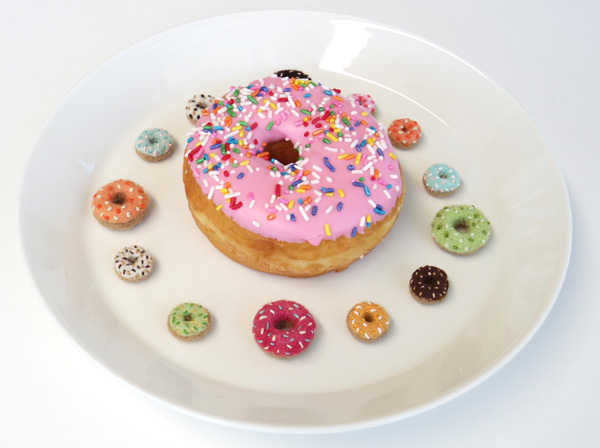 The donuts I used for these photos are from Surfside donuts in Pismo Beach, CA. Their donuts tasted very fresh and fluffy! One doughnut costs a bit more than regular donuts shops’ doughnuts ($2.5 or more), but they are bigger donuts and they have a real handmade feeling. They are totally worth it for the price. 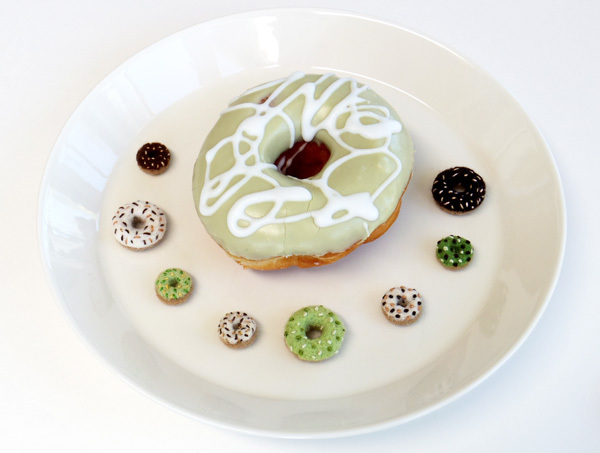 I was hoping to get crazier looking donuts, but they didn’t seem to have the crazy ones when I was there. I must go back there…earlier in the morning, maybe? 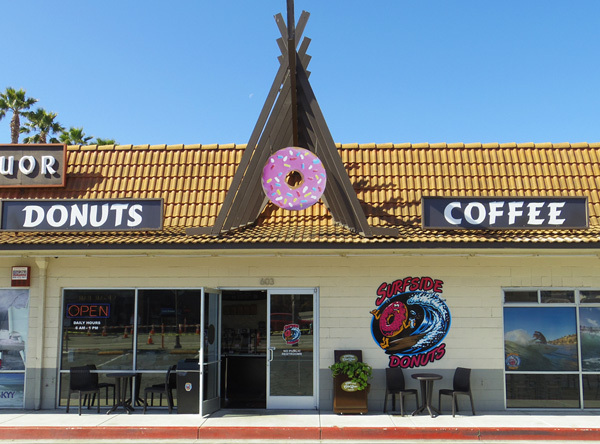 Thanks Surfsidedonuts @ pismo beach for super fluffy donuts! All handmade create one by one. Something fuzzy, something last longer, something you can enjoy for long time.